Mohawk Sideboard - NR HILLER DESIGN, INC. 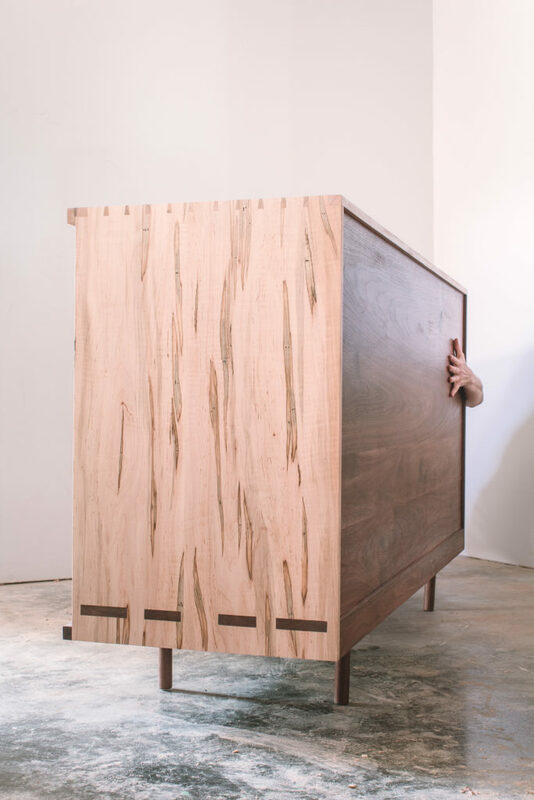 The Mohawk sideboard was commissioned to double as a room divider. It is made entirely of solid walnut and curly ambrosia maple with hand-cut joinery. Exposed tenons join the cabinet’s floor to the ends and the vertical divider to the top; dovetails join the top to the ends. 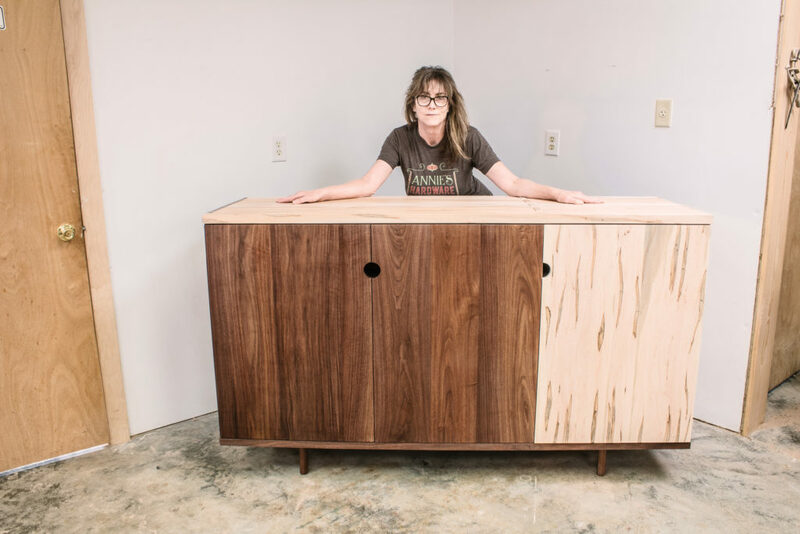 In keeping with its minimalist aesthetic, the large piece (which measures approximately 72″ long x 22″ deep x 40″ high) stands on four shop-made legs. Critical support comes from a length of steel angle concealed by the skirt at the bottom. Contrasting timber species make the exposed joinery pop. 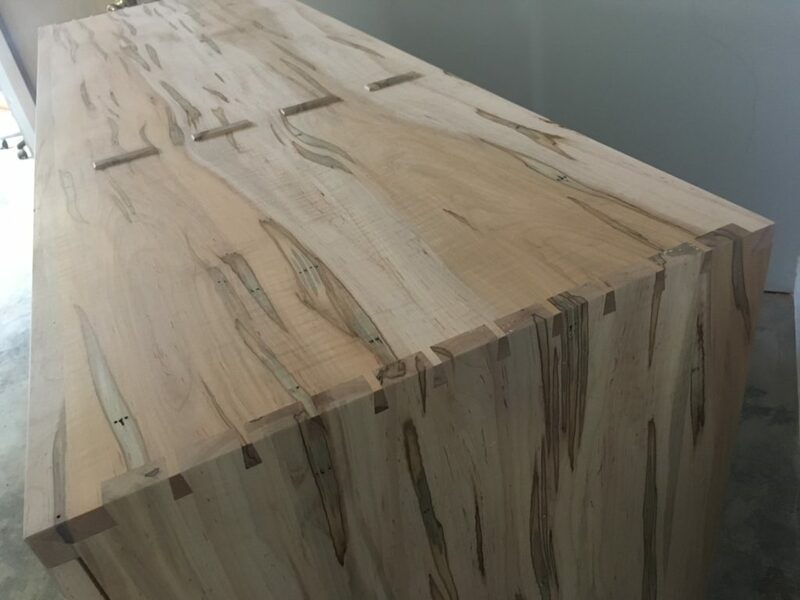 The sideboard gets its name from the sculpted tenons protruding through the top. 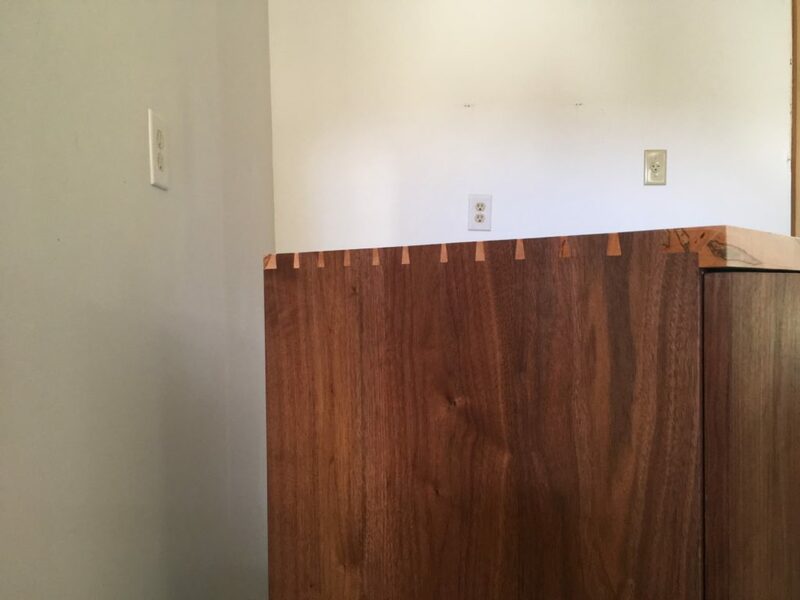 The back is a solid panel fitted into grooves in the cabinet’s floor, sides, and top. The walnut and ambrosia maple for this piece came from Davison HQS in Spencer, Indiana.